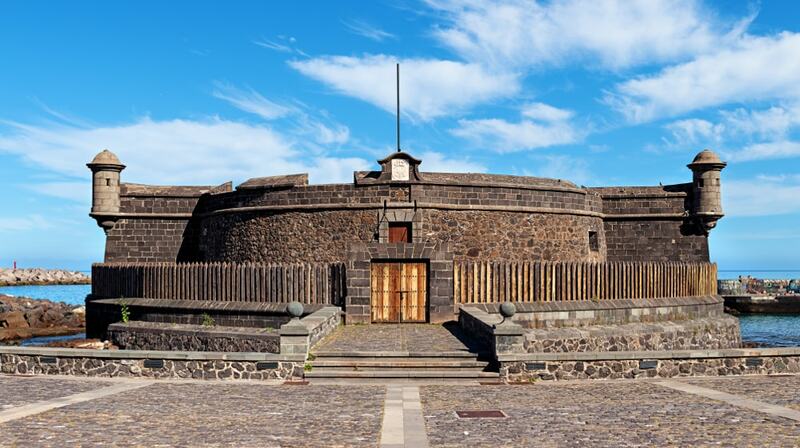 The Castillo de San Juan Bautista was the second most important fort in the defense of Santa Cruz de Tenerife. It is set in the heart of the capital, behind the Auditorio de Tenerife. Each year in July a re-enactment of the Battle of Santa Cruz de Tenerife of 25 July takes place, which commemorates the unsuccessful attempt by the British Admiral Horatio Nelson to invade the city and the archipelago.